Vamos a la playa, oh oh ooooh! Look at this great deal from Sunweb to Spain. 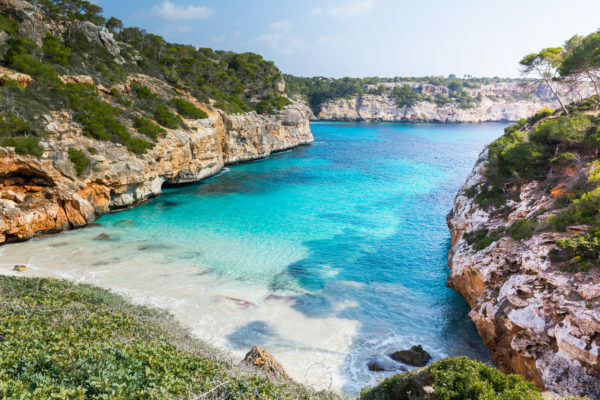 From only 2819 kr you can take a 7-day trip to Mallorca, with a 3* hotel, all inclusive, transfer and flights included! You’ll be staying 7 nights at the 3* Hotel Gavimar Cala Gran Costa del Sur. The hotel is on the southern coast of Mallorca in Cala d’Or just 2 minutes walk from the beach. The deal also includes the transfer from the airport to the hotel. The hotel has an awesome pool and free WIFI is available throughout the facility. Additionally, you can spend your time at a tennis court or volleyball court and enjoy the daily entertainment programm. You can of course look forward to daily breakfast and dinner with the half-board package. The 3* Hotel Gavimar Cala Gran Costa del Sur is well-rated on Booking and has received a 7.7 out of 10 total rating from pver 400 reviews. The flights are with Norwegian from Copenhagen to Mallorca. There are various dates available from May – October 2019. You can find further airports at additional costs. Need some tips for Mallorca? Head to my article “Mallorca beaches” to visit the most beautiful beaches on the sunny island! Sign up for my Newsletter, and don’t miss anymore deals. You’ll be the first to find out about our Mallorca bargains!